Jeremy Webber and Colin M. Madeod (eds.) 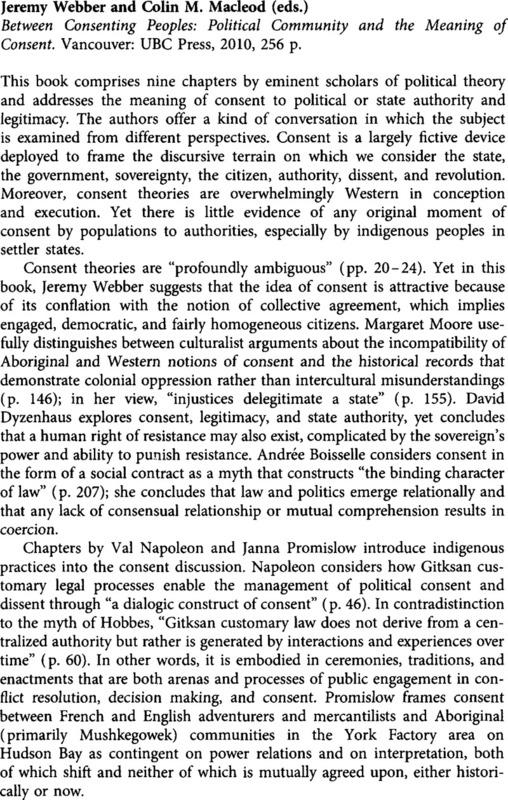 Between Consenting Peoples: Political Community and the Meaning of Consent. Vancouver: UBC Press, 2010, 256 p.